1. Put the time when tickets go on sale on your Outlook calendar. Make sure the event is marked as “Busy” in case someone tries to schedule a meeting with you. 2. When the day tickets go on sale arrives, remind yourself to buy them every fifteen minutes. Forget all about it ten minutes before the sale. Remember approximately two minutes before sale and breathe a sigh of relief. 3. Buy tickets. Convince yourself that the fees are worth it. 4. For the next three months, at regular intervals, talk about how excited you are for the show with whichever friend you’re going with so that neither of you forgets about it. 5. When the day of the show finally arrives, remind yourself like one thousand times not to forget the tickets (if you’re not picking them up at will call). 6. Panic as soon as you leave work because you think you forgot the tickets but then realize that they’ve been in your bag since 9 AM, you dummy. 7. Arrive at a bar near the venue approximately an hour before doors open. Do not bother eating dinner beforehand. 8. Drink two beers, minimum. (Happy hour is still in effect.) Take your time, though. You don’t want to get there too early. 9. Leave the bar and realize that you are drunk off of very little. Stop for pizza on the way to the venue. 10. Arrive at the venue, realize that the first opener is still playing and immediately order a beer. 11. Wait until the second opener has started before moving into the crowd. Choose a spot where you can see the stage. 12. Have your view of the stage almost completely blocked when a 6’6″ dude stands directly in front of you. 13. Spend the next minute or two trying to find a spot where there isn’t a 6’6″ dude isn’t standing directly in front of you. Give up. 15. Make your friend take a few pictures for you – but not too many because you don’t want to be a douche, you just want to Instagram one or two – because you still can’t see anything. 16. Look at the time. Try not to think about the fact that you have to wake up in six hours. 17. Enjoy the show, in spite of everything. 18. Catch yourself nearly wilting due to exhaustion during the encore. Hope that the band, even though you love them, does not play more than two songs. 19. After it’s over, hop in a cab. Spend the ride doing important things like Instagramming pictures from the show and setting your alarm for exactly five hours from then in case you forget when you get home. 20. Get home and eat like eighty-six Girl Scout cookies in bed because one slice of pizza wasn’t really dinner. 21. Pass out with your computer on your lap. 22. Wake up to your alarm blaring at 6:45 AM. Snooze. Decide you don’t need to shower because sometimes a whore’s bath is enough. 23. Rejoice! You have dry shampoo! A shower is not necessary. Get ready in less than ten minutes and head to the train. 24. Catch your reflection in the windows of the subway. You look like a zombie. Also, the dry shampoo is visible in your hair. 25. Get to work. Start going through your email. 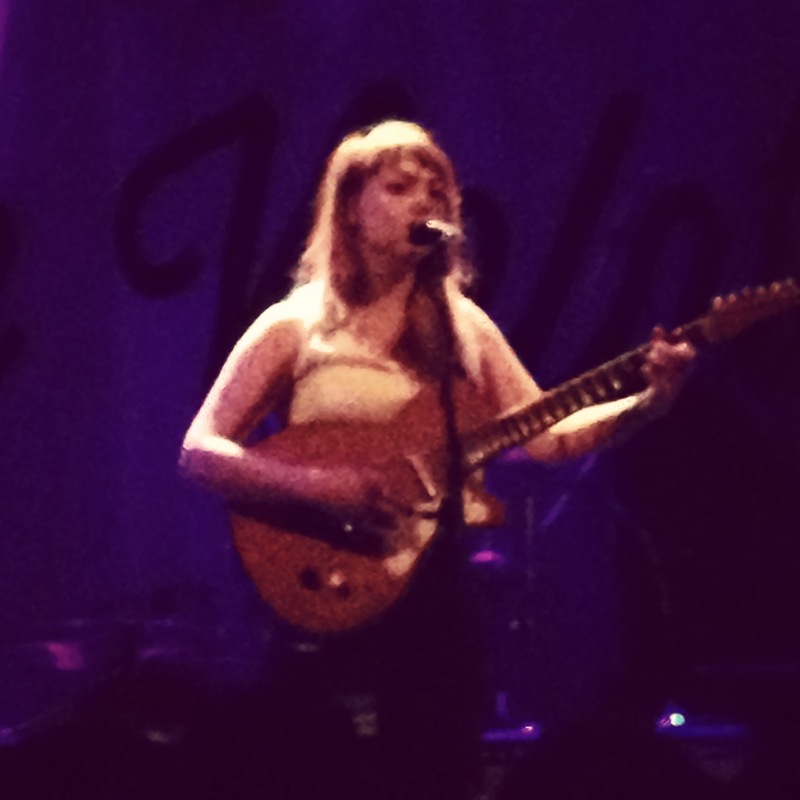 Open a list of upcoming shows and start entering the ones you want to go to in your calendar. 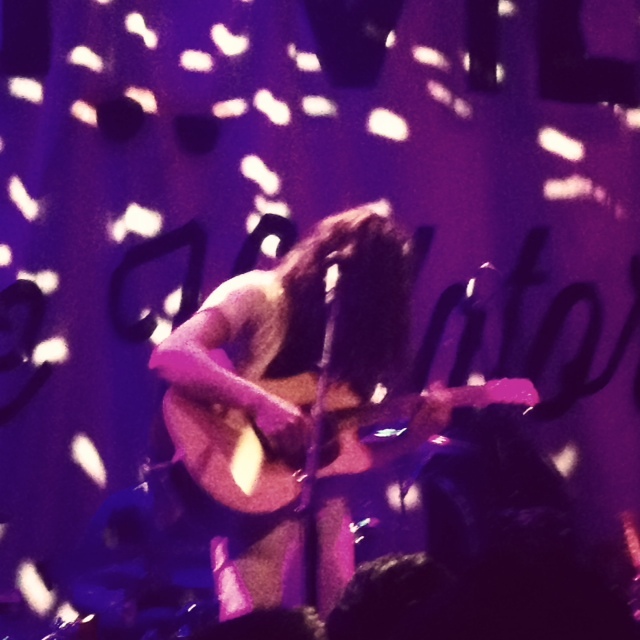 Last night, I saw Kurt Vile and Angel Olsen at the Bowery Ballroom. This list was loosely based on that experience.